HOUSE OF USHER: American Pop-Gothic, Heavy On The Price & Corman – Schlockmania! Today, people often talk of Roger Corman in terms of his work as a b-movie mogul and a discoverer of filmmaking and acting talent. However, before he moved into either of those roles, he proved his worth to the world of cinema as a filmmaker several times over. It’s easy to forget just how good he was in ’60s-era prime as a filmmaker but revisiting his work from that era will provide a quick reminder of his formidable directing skills. 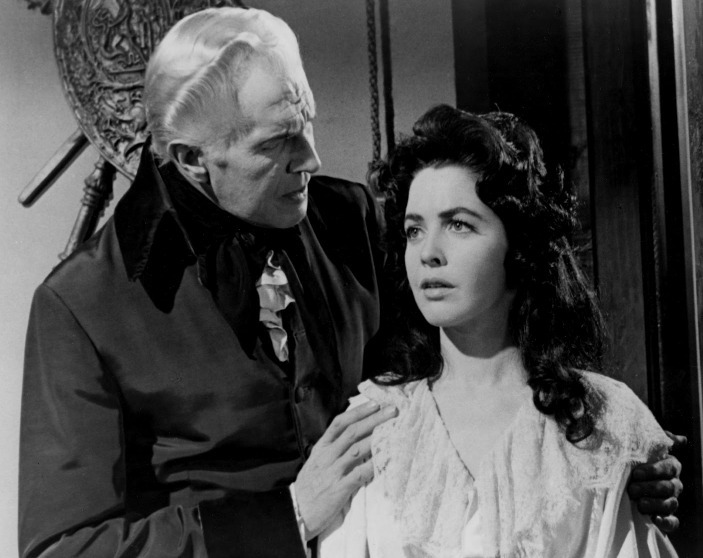 1960 saw the release of House Of Usher, his first truly great film – and it proved he could make a b-movie that compete with Hollywood’s best horror fare. 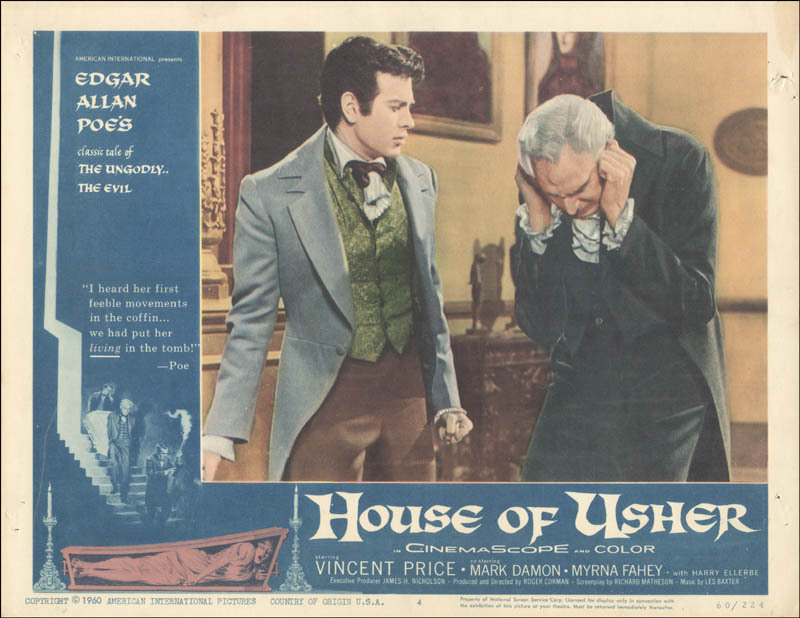 House Of Usher takes its basis from the Edgar Allan Poe story “The Fall Of The House Of Usher,” deftly adapted into screenplay form by genre legend Richard Matheson. It begins with Philip Winthrop (Mark Damon) journeying to the titular location, a spooky and crumbling manse surrounded by desolate-looking land. He travels there to collect his bride-to-be, the lovely Madeline (Myrna Fahey), but her brother Roderick (Vincent Price) is reluctant to let her go. He explains that the Usher family lives under the weight of a terrible curse that its members cannot escape. Philip fights Roderick for Madeline’s will but there will be twists and tragedies galore before this rivalry is settled. The end result is one of the most influential horror films of its decade. 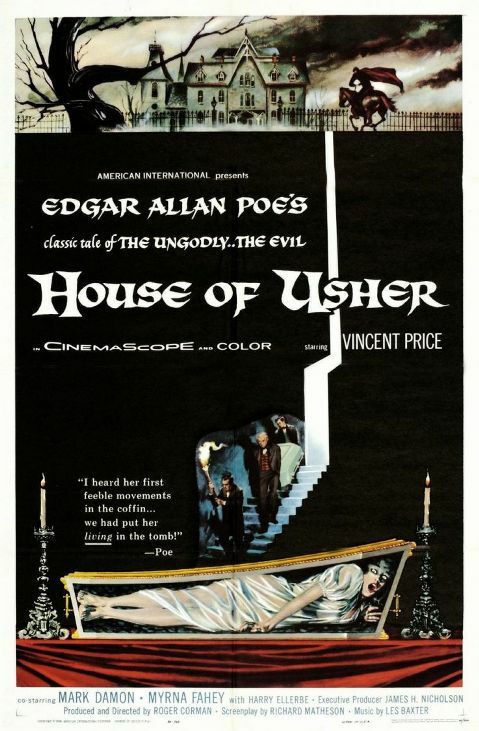 It sparked a whole string of Poe pseudo-adaptations, many of them also directed by Corman and starring Price, thus also creating a subgenre of horror whose blend of vintage literary inspirations, classic horror stars and modern pop-gothic tendencies coalesced into an American response to Hammer horror’s British invasion. 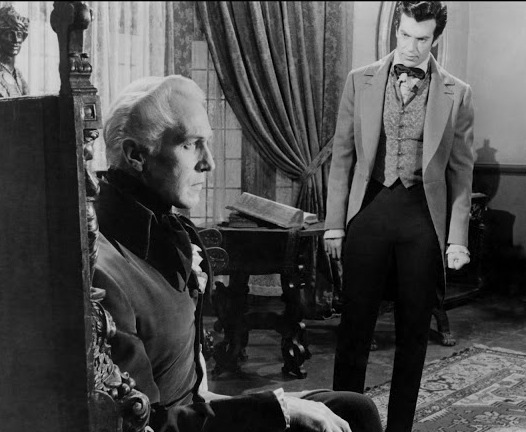 House Of Usher became so influential because it is exceptionally well-crafted. Matheson’s script creates a dreamy yet doomy mood from its first moments, crafting characters who respond in different ways to their predetermined roles in a tragedy. His dialogue reflects the literary quality of Poe’s work and the characterizations bring a thoughtfulness and depth of psychology to the fore. He doesn’t shy away from shocks when the time comes but his storyline has a slow-burn quality that is unique for this era of b-movies (and quite addictive, too). Corman had made around two dozen (!) movies by this point as director so he had a battle-tested set of skills before starting this film. However, it is worth noting that House Of Usher finds him taking his filmmaking to the next level by applying his economical style to truly artistic ends. He brings energy to material that could have seemed stodgy in other hands by giving it a fluid visual style with a lot of moving camerawork and very precise editing. He also shows a knack for surreal dream sequences that he would further develop in his subsequent Poe films. It is also important to mention that Corman’s work comes off so polished here because he had an ace team of technicians backing him up. Floyd Crosby’s Cinemascope photography gives the film a big, richly colorful look that ups its sense of production value. Daniel Haller’s art direction is equally important in this sense, with the sets looking several times costlier and more ornate than something you normally see at this budgetary level. Finally, Les Baxter’s score hits the right blend of orchestral lushness and thunderous shock tactics. Their work adds up to a film that has the same combination of rich visuals and gothic bombast that horror fans associate with Hammer horrors. Finally, there is Vincent Price, who would be Corman’s most crucial collaborative partner on these films. The other actors acquit themselves nicely but it is Price who sets the dramatic tone of the film and gives a richly textured performance as a character who is capable of terrible things yet is driven by his own unique convictions and is as pitiable as he is scary. It’s a very subtle performance and shows off Price’s ability to draw out emotional and psychological textures that you wouldn’t normally expect in such a role. 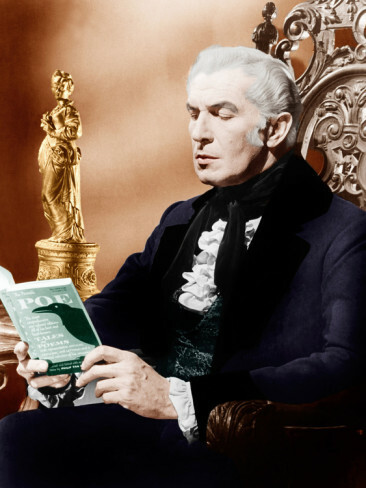 Simply put, House Of Usher is one of the great American horror films of the 1960’s, boasts one of the great Vincent Price performances and is one of the finest directorial achievements for Roger Corman. Needless to say, it’s a must for students of horror cinema, not to mention Price’s or Corman’s fans.